A group of Inuit artists are pulling their support from the Indigenous Music Awards over concerns that a First Nations nominee is culturally appropriating throat singing. 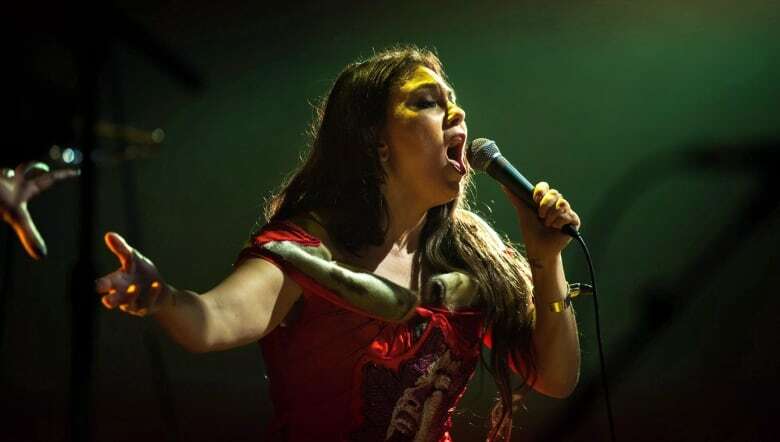 Musicians Tanya Tagaq, Kelly Fraser and the duo PIQSIQ have announced that they are frustrated with the IMAs and are refusing to submit any work or perform at the awards until the organizers add Inuit representatives to the IMA board. “We came to the IMAs with the concern about cultural appropriation in one of the categories. There is a non-Inuk singer who is appropriating Inuit throat singing,” said Tiffany Ayalik. Ayalik and her sister Kayley Mackay are from Yellowknife and make up the throat singing duo PIQSIQ. They are withdrawing the nomination of their album, Altering The Timeline, for best electronic music album. “It’s very insensitive and wrong to have an organisation like the IMAs celebrating an artist who isn’t Inuk, who isn’t doing it properly, and who isn’t doing it with the respect and the context and the history that should be informing throat singing,” she said. On Monday, they made the decision to announce their frustrations publicly after trying to work behind the scenes with the organizers to correct what they view as problematic. “We reached out to the artist individually and asked them to stop what they were doing,” said Ayalik. She said the group of artists expressed their concerns to the IMAs and told them that there are policies in place to ensure that non-Indigenous artists aren’t submitting to the awards, but there are no policies in place to protect cultural appropriation among Indigenous nations. “We are hoping that will change in the future and we’re open to continuing a relationship with the [IMAs] in the future,” said Mackay. The sisters declined to name the musician in question to keep the focus on the issue of appropriation between Indigenous groups. “Her style of throat singing and chanting celebrates the Matriarch, with a raw powerful and sexual presence,” the bio says. Cikwes, also known as Connie LeGrande, is one of five nominees for Best Folk Album. Inuk songwriter and throatsinger Aasiva is one of the other nominees in that category. LeGrande has not responded to a request for comment. For Ayalik and Mackay, throat singing is an act of cultural reclamation among Inuit. “It was heavily tabooed and fineable and almost went extinct from Inuit memory,” said Ayalik. The sisters both learned to throat sing when they were young by listening to tape recordings and singing with family members who would stop by Yellowknife for visits. It wasn’t until she was in her 20s that Ayalik learned more about the history of Canada and how colonization affected the cultures of the people in the Arctic region. “Throat singing became not only an important pastime to connect with my sister… but also as a radical political act,” said Ayalik. “This beautiful piece of art is also an act of defiance in the face of things like the Indian Act and things that were prohibited at one time in Canada,” said Ayalik. Both sisters said they are open to collaborating with other Indigenous artists as long as it isn’t done in a way that fetishizes or tokenizes Inuit culture. “I think it’s really important to remember that as Indigenous people we are not excused from that,” said Ayalik. Mackay is hoping the situation can be addressed in a respectful way. She acknowledged that everyone makes mistakes and hopes the IMA organizers offer an apology and include Inuit representatives at the board level. The awards ceremony is set to be held in Winnipeg on May 17 as part of the annual ManitoAhbee Festival. The Indigenous Music Awards has not yet provided comment.